Data centre located in Telecity in London which is part of the London Internet Exchange (LINX). Staff that can assist customers in designing their network to optimise voice quality by separating voice and data traffic, using uncompressed voice and choosing quality networking equipment (e.g. Cisco). A provider whose network has no single point of failure and who partners with more than one Tier1 service provides for call termination and internet services, so that SIP Trunk services have built in redundancy even in the event of a major BT backbone problem.One of the other major benefits of using SIP trunks for asterisk voip is portability. Once a phone number has been assigned to the trunk, you are then able to then "port" or move the phone number to another service provider. Furthermore moving the SIP trunk itself is simply a case of moving the broadband connection to another location which is relatively straightforward compared with an ISDN relocation where the chance of a prolonged outage is higher. Using SIP trunking, if you decide to move offices, you can take your BT telephone number with you using a porting service. For example, if you are located in London with a 0208 or 0207 number, and move to Birmingham, you can take your BT telephone number/s with you.SIP trunks can also be used to connect asterisk voip phone systems together and take advantage of free calls between them. This configuration is often used to connect offices together within a business so that it can offer free inter-office calling and internal calling. The business can also take advantage of other features like conferencing, virtual hunt groups and inbound call handling. With good providers of SIP trunks for your asterisk voip phone system you should be able to handle the whole process from provisioning to billing online with activation possible instantly 24 X 7 X 365 through an online self-provisioning portal.Look out for providers offering a trial service so that you can test the voice quality by making some calls. Setting up a SIP trunk is very easy compared with a traditional, proprietary telephone system, and a good provider will provide you with technical support and may sometimes provide you with a working configuration for your telephone system if it has tested its Asterisk voip service previously. 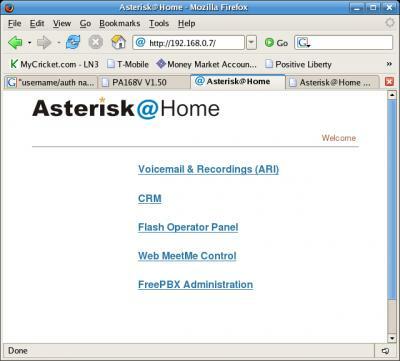 Some common systems that this is likely to apply to are Asterisk, Trixbox, Elastix, FreePBX, Vicidial and Atcom.